Our mountain region offers some of the most drop-dead-gorgeous scenery you’ll find anywhere. Just a short drive from Murphy, NC, you’ll encounter winding mountain roads through lush green forests, stunning waterfalls fed from hidden streams, and sweeping vistas with layers upon layers of mountains. From time to time, you’ll happen upon a quirky little town or a restaurant that retains its decades-old décor and vibe. For an up-close-and-personal view of our magnificent landscape, motorcycle touring just can’t be beat. In fact, thousands of two-wheeled vehicle fans have traveled our mountain roads through the years. Four challenging routes have become the stuff of legend, drawing experienced riders from around the country every year. After reading this snapshot of four noteworthy routes, you’ll be ready to pack up and hit the road this season. This world-class course offers challenges around every turn, even for seasoned motorcyclists with thousands of miles under their belts. Officially known as “The Tail of the Dragon at Deal’s Gap,” this 11-mile stretch of Route 129 contains a jaw-dropping 318 curves. You’ll ride across the Tennessee/North Carolina state line, and the Cherokee National Forest and Great Smoky Mountains will border your wooded route. Best of all, you you won’t face driveways or intersecting roads as you wind through the woods. So, what kind of challenges does The Dragon offer? First, you won’t encounter much change in elevation – which is fortunate, as you’ll be focused on getting around the course without wiping out. Many curves are banked like race tracks, and The Dragon throws in some decreasing radius curves and off-camber twists for good measure. In other words, this is no place for novice riders, and you won’t be able to exit the course if you decide it’s beyond your skill level. Finally, if you’re a newbie rider who thinks you can beat the odds, The Dragon is reportedly haunted by the ghosts of drivers who made fatal errors in judging the many curves. If you think you’re ready to ride the “Tail of the Dragon,” and you’d like to spend the night at the starting/finishing point, you’re in luck. Right at the intersection of US 129 & NC 28, you’ll find a well-known motorcycle resort. Nearby, you can enjoy a tasty lunch, grab a souvenir T-shirt, and even snap a photo with an oversized dragon sculpture. If you want to ride the same roads as the Prohibition Era moonshiners, put the “Moonshiner 28” run on your touring calendar. 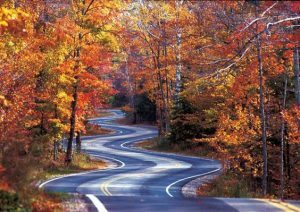 This 103-mile route begins at US 129 at the “Tail of the Dragon,” and meanders southeastward through North Carolina and into upstate South Carolina. In contrast to The Dragon’s non-stop twists and turns, Moonshiner 28 offers a 55-mph speed limit for the majority of your ride. As you cruise along, you’ll encounter a nice mix of twists and turns, sweeping arcs, and memorable scenery. Shortly after you begin the trip, for example, you’ll arrive at the massive Fontana Dam. Here, you’ll enjoy a bird’s eye view of beautiful Fontana Lake and Great Smoky Mountains National Park. Heading toward Highlands in southern North Carolina, you’ll see the notable Cullasaja Falls that cascades downward in a 250-foot drop. Further along, you’ll encounter Dry Falls, a popular destination for travelers of all ages. Enjoy an easy hike from the parking lot, and wind your way downward to the impressive 75-foot waterfall. For an experience you won’t forget, stand under the roaring falls and take in the sights and sounds. Finally, Moonshiner 28 takes you on a leisurely trek through Georgia and South Carolina, with the quiet town of Walhalla marking the end of your trip. Throughout your ride, you’ll find basic to super-nice accommodations and an enticing assortment of antique and craft shops. If you’re looking for a hearty meal to fuel your travels, you’ll find plenty of options to suite your tastes. If you’re intrigued by the idea of traveling eastern Tennessee’s patchwork of two-lane roads, plan to take on “The Devil’s Triangle” this season. This memorable 72-mile route, winding through Tennessee’s Cumberland Plateau, is meant for experienced riders ready for the region’s simply maintained roads and challenges around every curve. If you enjoy traveling gently curving rural roads dotted with houses, farm scenery, and random ATV’s, you’ll find those vistas here. On the other hand, you’ll encounter plenty of switchbacks and twisted turns that closely resemble The Dragon’s challenges. As an added bonus, The Devil’s Triangle throws in roadside rock-filled gullies, impressive rocky cliffs, mangled guardrails, and rutted roadways. Keep a watchful eye for trucks, as some parts of the route don’t leave much room for pull-offs and other evasive maneuvers. Finally, let’s not forget the route’s notorious climbs – including at least one section with a 1600-foot change in just 1.5 miles. Finally, you won’t find competing tourist attractions along The Devil’s Triangle route. However, you will encounter the now-closed Brushy Mountain State Penitentiary, a notorious regional facility that opened in 1896 and closed in 2009. This maximum-security prison, located in a nondescript two-story building, held the “worst of the worst” criminals during its lifetime. Today, travelers are invited to tour the prison, visit the facility’s museum, and buy some “End of the Line” Tennessee moonshine (which is actually distilled and bottled onsite). Paranormal tours are also available – if you dare. 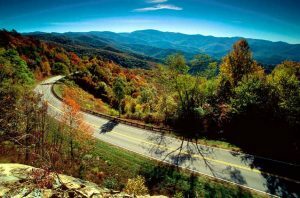 The stunning “Cherohala Skyway” offers two types of motorcycle touring experiences. First, you’ll experience 60 miles of some of the most gorgeous mountain vistas you’ve ever seen, with views for miles and layers upon layers of hills and ridges. In fact, the term “Cherohala” is a blend of “Cherokee” and “Nantahala,” as the mountainous region encompasses parts of both national forests. From time to time, you’ll happen upon scenic overlooks, giving you a place to take some photos and stretch your legs. And during the peak of the region’s fall colors, the Cherohala Skyway is truly spectacular. 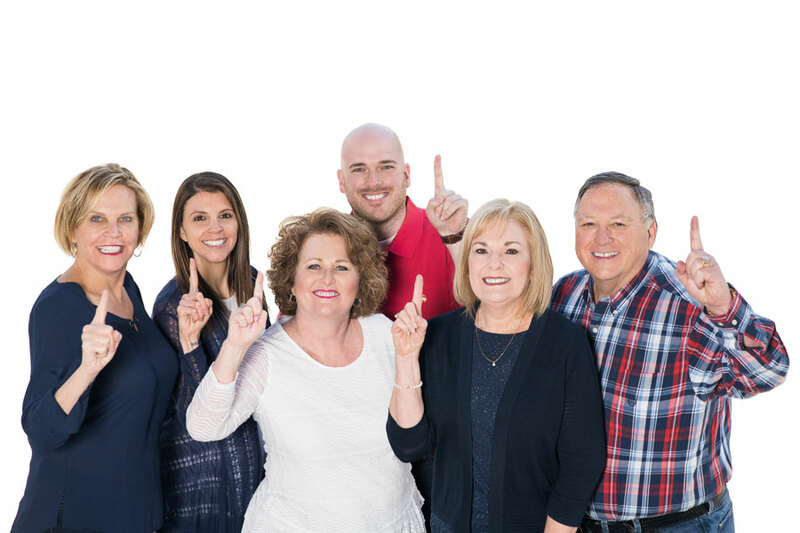 The Cherohala Skyway connects Robbinsville, North Carolina and Tellico Plains, Tennessee; and either town is a great place to embark on your trip. In Tellico Plains, for example, you can enjoy a tasty meal and browse the shops and arts centers before hopping on your bike. The Cherohala Skyway Visitor Center will provide you with a great-looking map and insider travel information. Just outdoors, you’ll find several inviting picnic tables. While you’re in either town, fill up the gas tank, as you won’t find any fuel along the Skyway. Now, let’s look at The Cherohala Skyway from a motorcycling perspective. First, the smooth pavement should provide good traction, although you might encounter a bump here and there. Embarking from Robbinsville or Tellico Plains, the highway’s two lanes offer plenty of room as you travel the sweeping curves to the mid-section’s 5,000-foot elevation. Lest you get too comfortable, however, The Cherohala Skyway’s numerous curves are often accompanied by expansive climbs and descents. You’ll also encounter your share of tight turns along this route that’s just a short drive from Murphy, NC. In other words, the Cherohala Skyway will certainly challenge your riding skills. But the rewards are hands-down worth it!